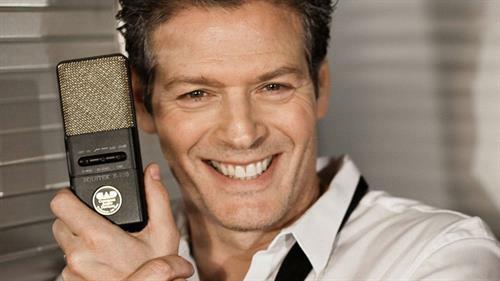 Kevin Spirtas, star of stage, screen and television, brings you a glorious evening of classic and pop favorites celebrating the unforgettable, unexplainable, and unavoidable desire for love and romance, in… Let There Be Love! Kevin starred as “Corny Collins” in the Las Vegas Production of HAIRSPRAY. In September 2003, selected over hundreds of actors, Spirtas made a huge ripple in the Broadway community when he was cast to be Hugh Jackman’s standby in the smash hit musical, “The Boy From Oz”. Before that, for 7 1⁄2 years, Spirtas played the dashing and frolicking Dr. Craig Wesley on NBC’s: “Days of Our Lives”. ?In 1999 Soap Opera Digest nominated Spirtas for Best Villain and TV Guide (12/25/99) touted him for a Best Supporting Actor Emmy. At age 18, Spirtas landed his first professional job on Broadway: the role of Mike (“I Can Do That”) Costa, in A CHORUS LINE. Spirtas has guest starred on numerous television shows: including L.A. Heat, V.I.P., Fired Up, Silk Stalkings, and Quantum Leap. In 1996 Spirtas received a Los Angeles Drama-Logue Award (Best Actor) for the role of Nick Brenner in Chuck Ranberg’s critically acclaimed comedy, END OF THE WORLD PARTY. Spirtas has starred in the films: Embrace the Darkness, Striking Resemblance, and Green Plaid Shirt. Spirtas has been featured opposite Sir Ian McKellen and Brad Renfro in Bryan Singer’s Apt Pupil, Ben Affleck in Mark Steven Johnson’s director’s cut of DAREDEVIL, and Olympia Dukakis in the movie made for television A Match Made in Heaven. Spirtas can also be seen in those fantastic cult classic slasher sequels: Friday the 13th VII, Subspecies II and Subspecies III, Wes Craven’s The Hills Have Eyes II, and ALBINO FARM. On Septembe r 12, 2005, television audiences worldwide heard Spirtas introduce the song: The Sweetest Of Nights And The Finest Of Days, as he sang it at Chloe & Brady’s wedding on Days of Our Lives. On the same day he released a CD single of the song and contributes a portion of each CD sold to the RED CROSS for victims of Hurricane Katrina.